How many times a day does this scene play out across the world? A dutiful adult son visits his aging mother in the rec room of a hospital, gently but insistently trying to remind her of the truth of their situation. It’s a slow painful tragedy, but writer/director Romina Schwedler finds a way to put a spin on it in her short film, “The Visit,” moving the story from straight-up drama to belonging in Cinequest 2017’s “Mindbenders” program. 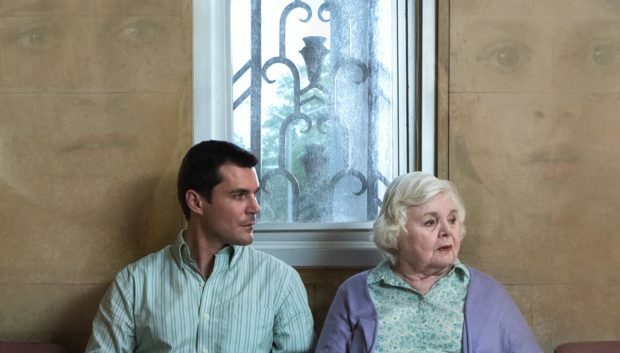 Ben (Sean Maher) confronts his mother (June Squibb) on a day other than their usual visiting time. She has requested it, insisting that it’s time to reconcile with his estranged wife (Sadie Katz) and son (Dominick Coniglio). Flashbacks detail the messy break-up between the two, that ended with Ben not even allowed to see his son. That hits hard enough on its own, but Ben has a secret that has to be confronted, and his bright, sunny (and possibly non compos mentis) mother may not be the one who can pull it out. In a short, compact narrative, Schwedler delivers a lot. 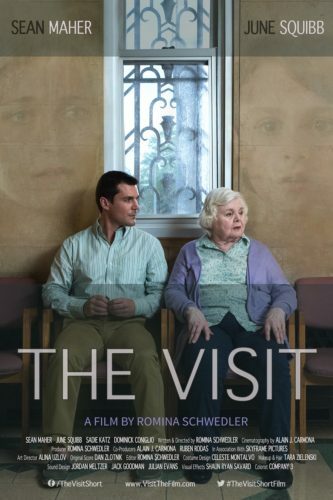 “The Visit” serves as character drama, neatly aided by Squibb and Maher in the lead roles. 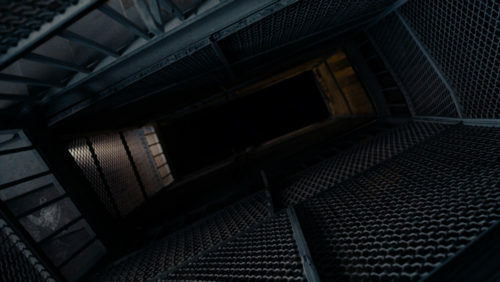 But there’s also some clever camera work that shows Schwedler has more than character in mind. Even in a brightly lit room, there’s something just vaguely unsettling in some of the camera angles. We can’t quite trust what we’re being told, and yet it seems all too normal. This is the kind of short that frustrates me, mainly because it’s hard to know where people can discover it outside of a film festival. With the rise of Black Mirror on Netflix, and a rumored revival of Amazing Stories on the horizon, it’s possible that some production company might put together an anthology showcase for films like this — neatly done short stories that leave the audience deep in their own heads, perhaps wanting a little more, but knowing that it’s just right the way it is. It’s a mindbender all right, and one worth seeking out if you can find it.